Today we turn our attention to Doberman puppies, and those “young and innocent days” that the Kinks sang about so wistfully on one of my favorite albums, 1969’s Arthur (Or the Decline and Fall of the British Empire). There is little doubt that the Doberman Pinscher — alongside the Pit Bull and the Rottweiler — is one of the most widely misunderstood of all dog breeds. If you don’t own one, chances are even seeing these names conjures associations of implacable strength and ferocity. Like any breed of dog, Doberman puppies require a firm and steady hand from their owners, as well as consistent and positive training. Our impressions of certain dog breeds as particularly difficult usually arise from highly publicized and dramatic incidents. Doberman puppies can grow to be as gentle, loving, and loyal as any other infant canid, provided they’re well-trained and cared for. 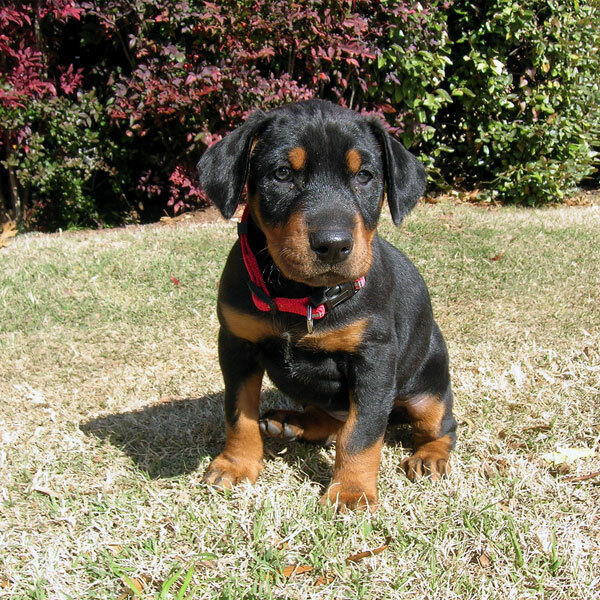 There are no dogs who are inherently dangerous or risky to own, not even Doberman puppies. To adopt a dog is a major commitment, and never one that should be entered into lightly. Like other misunderstood dog breeds, Doberman puppies only become disruptive dogs when they are mistreated or neglected. If you need a low-maintenance pet who will never eat the garbage or chew up your favorite shoe, allow me to recommend a fish. But we are not here for lectures on dog ownership, nor on puppy adoption; no, we are here to look at pictures of puppies! We want to look with unutterable joy at little wet noses and tiny pink paws, and to see baby puppies being generally adorable. 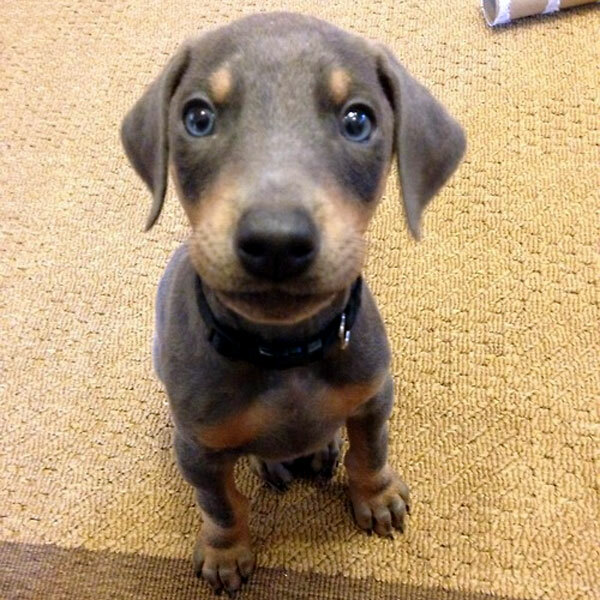 Thankfully, I have culled many cute pictures of Doberman puppies; not so that we may bemoan unjust reputations, but rather celebrate untapped potential. While Doberman puppies were, for many years, trained to serve as police or military dogs, it may surprise you to know that they are now just as heralded as great indoor dogs. Of course, I have rarely encountered a puppy who was content to spend all of its time inside. There is little in this world more charming or wonderful than seeing baby puppies playing outside, so let us join some Doberman puppies at play! Every good baby puppy has his favorite toy. My own puppy is partial to her stuffed multi-legged squeak toy. She will bite down all over its fluffy body, ever eager to be rewarded for her effort with the chirping noise of the air-bladder within. 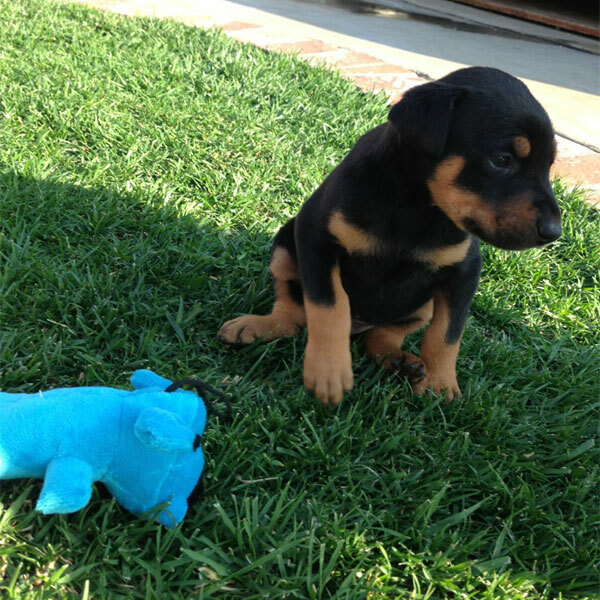 Here’s a Doberman puppy who seems to have grown tired of his own toy. 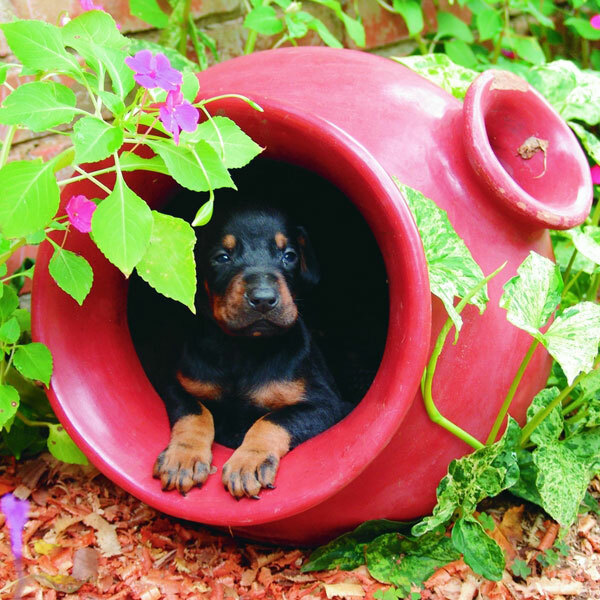 Doberman puppies are social creatures, though, who need attention and interactive relationships. Who wants to play? You may think that one toy is just as good as another, but it’s important to know a breed’s character before making an investment in accessories. The Doberman Pinscher was developed as a guard dog by a late-19th-century German tax collector, Karl Friedrich Louis Dobermann, and has never really had a reputation as a digger. Perhaps a pail and shovel might not be the best choice of outdoor entertainment for Doberman puppies. Powerful jaws and strong teeth suggest one of those knotted ropes for endurance games. Doberman puppies are curious creatures, and, as working dogs, have earned a reputation as fine search-and-rescue dogs. This Doberman puppy is called Ace, and she likes nothing better than to explore every crevice of her backyard. We can only speculate what secrets she’s found in the garden today! I want nothing more than to hug each of these Doberman puppies, pat them on their heads, and tell them that they are good babies. “I look back at the way I used to look at life,” The Kinks once sang. What activity reminds us of the carefree days of childhood more than endless hours spent on that swing set in the park, or dangling from the tire swing your parents hung from that big tree in the yard? 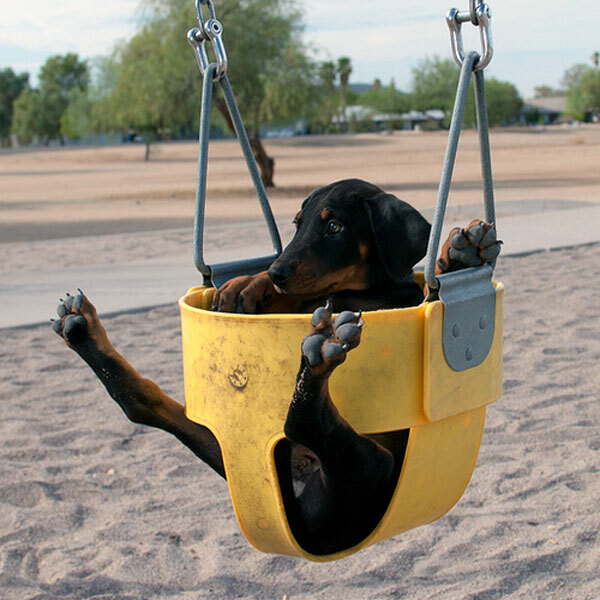 You may not readily associate swings and Doberman puppies, but they are adventurous animals,and will probably try anything once. Plus, cute puppy pictures only benefit from such unusual juxtapositions! 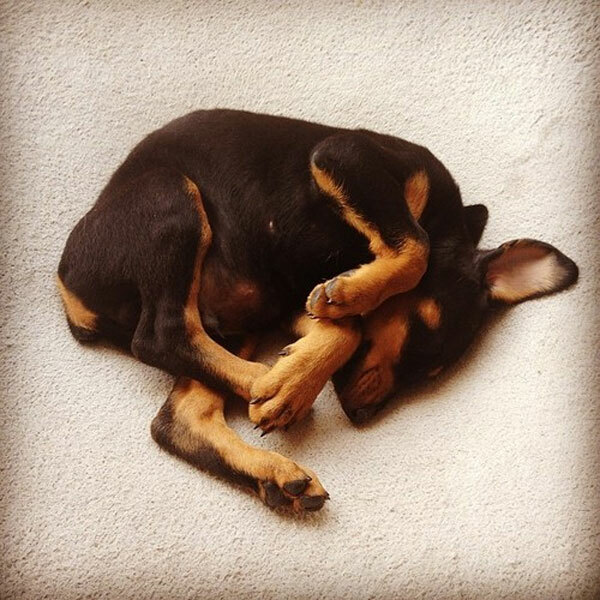 After all the excitements of the great outdoors, even the most active Doberman puppies seek the sweet relief that only nap time can afford. Our last two Doberman puppies are tuckered out after long days during which their greatest concern was barking at the neighbor’s cat. Braeburn lives in Arizona, where the heat may be dry but is no less tiring for an energetic Doberman puppy. No need for the creature comforts of a pillow or dog bed, Braeburn is quite content to curl up on the floor for a snooze. One benefit of the Instagram age we live in is that these tender moments are never truly lost to us. “Nothing ever can replace those … young and innocent days,” but that doesn’t mean we need to forget them. 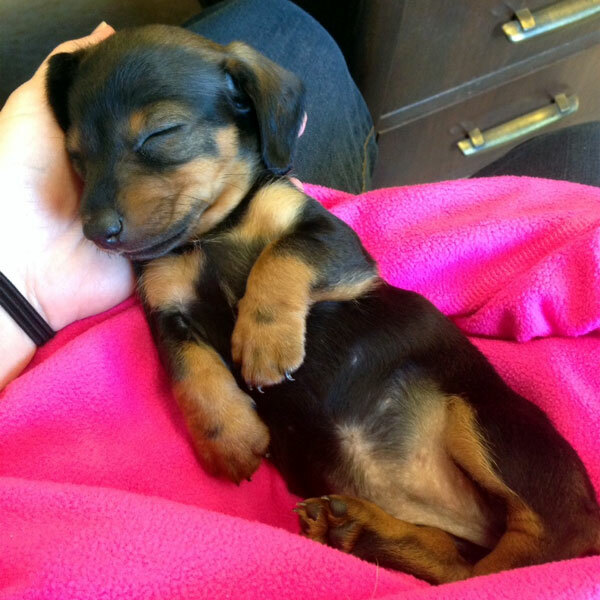 Pictures of puppies remind us, not only of our furry friends’ early times, but also of our own youth. We too were once tiny, helpless creatures; the delight of all who saw us. Share your Doberman Pinscher stories with us! 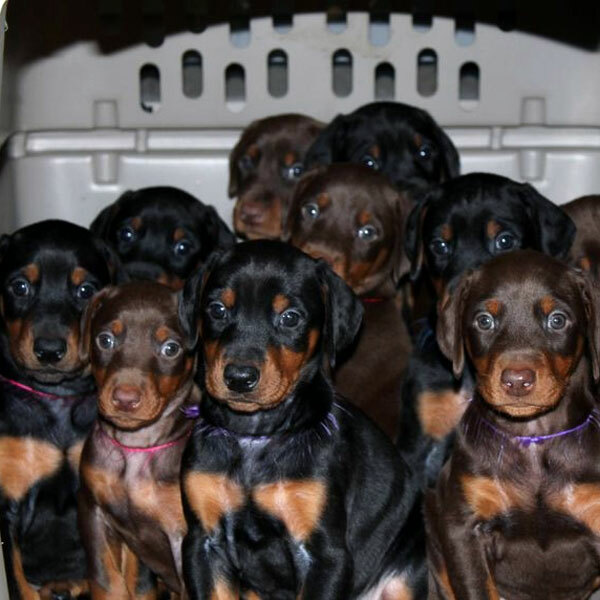 Have you ever owned Doberman puppies? We’d love to hear your practical experiences with representatives of this breed! 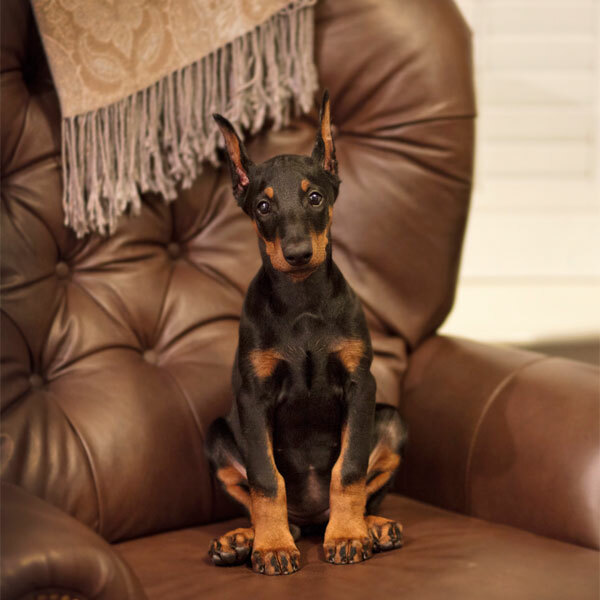 Whether you raised a Doberman puppy from birth or adopted a senior dog, share your memories and tips for living with Dobmeran Pinschers in the comments! 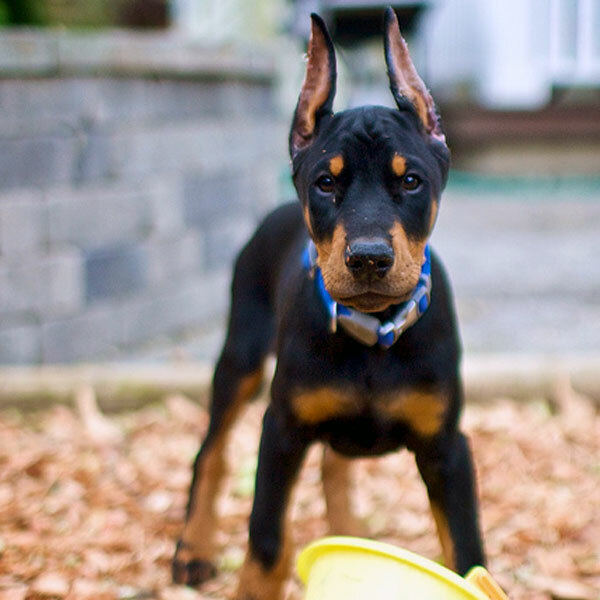 Get to Know the Doberman Pinscher: Semper Fi-do! 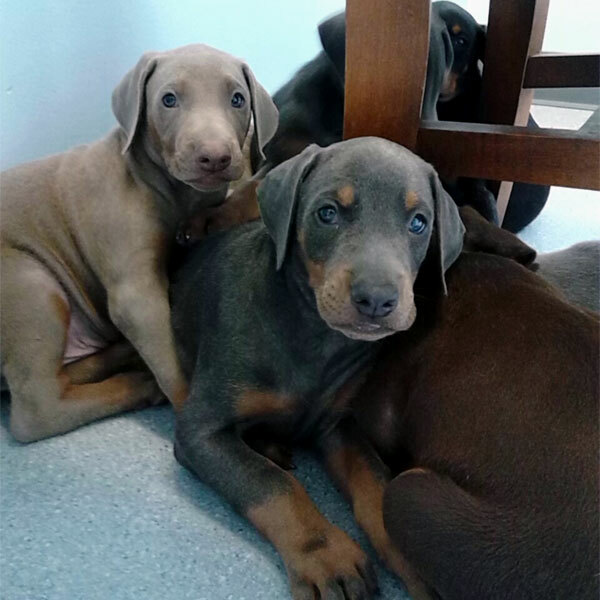 The post Come See the Cutest Photos of Doberman Puppies appeared first on Dogster.